So i have been very worried and concerned about my skin lately,,because a pimple not only acts as a detrimental factor to your personality and beauty,,it also brings with it a lot of mental stress.i feel so low on confidence all the time,,i don't want to step out of house..don't want to pose for pictures,,sometimes don't want to look in the mirror too.if you have acne prone skin,,i hope you can relate to what i am trying to say here.my confidence graph took a low dip,,(very low indeed). So i tried lot of products for acne prone skin,,even homemade remedies,,but nothing came to my rescue..some products were complete disappointment while some worked for a week and after that they lost the war against my stubborn pimples. 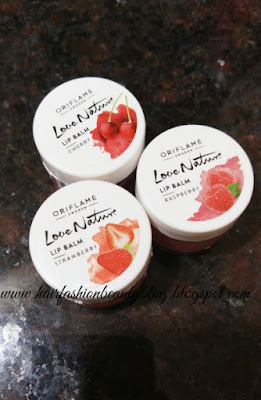 I was seriously considering to see a dermatologist,,but then came across this PURE SKIN RANGE by ORIFLAME.i have been happy with the results so far.so today i am going to review these products for you guys!! Let's start with the face wash first which claims to cleanse impurities and eliminate excess shine for a clearer skin.It comes in a tube packaging,easy to use.The product is crystal clear and has the consistency of a gel.The fragrance is a mixture of fresh and medicated scent.i think its because of the salicylic acid present in it for treating pimples.But don't worry its not nauseating or overpowering.Its just apt.A small amount of product produces enough lather to wash your face.The skin feels cleaner,clearer and softer than before.its like passing your skin through a filter..the skin feels baby smooth,,it literally purifies your skin..the range has been aptly named as pure skin,,because its exactly what it delivers. So after cleansing,its time to tone your skin for which they provide you the blackhead removing toner.It comes in a blue plastic bottle with a screw cap.the fragrance is same as the face wash but a bit more stronger.It too contains salicylic acid to treat pimples and spots,,helps with blackheads and definitely tightens the pores.i could actually see the results in mirror. This mask comes in a blue colored screw capped plastic tube.The product is white in color,has a creamy consistency,a small amount of product is just enough for whole face because it spreads easily.The mask dries up just like any clay mask and has a little tightening effect on the skin.Skin feels healthier,softer and brighter after using this mask.My nose tip looked so clean and polished. Well the product says it hides blemishes on the spot while helping to reduce them.This is basically a concealer to conceal the blemishes while the formula helps to treat the pimples and blemishes at the same time.This is a fabulous 2 in 1 product which comes handy at difficult times when you have to go out and can't avoid it. 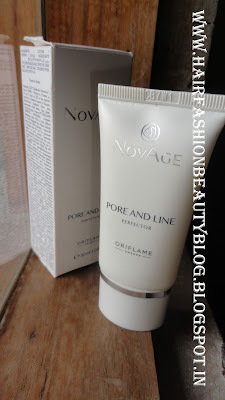 Ok,the last product in the range is the shine control cream which is a moisturizer with the range.After treating the skin with above products,the skin tends to get a bit dry,so here comes the role of this cream which restores moisture to the skin,,makes it supple and soft but very importantly not oily.The skin has a matte finish,no sign of oiliness. WILL I RECOMMEND IT: yes,,definitely yes! Its a great range of products.It controlled breaking out of new pimples ,and cleaned the skin in between them.Ofcourse the scars will go away slowly,as the skin renews.However it speeds up the renewal process of the skin. Fragrance may be of little concern to some people,but i don't think any acne treating product smells like a flower or fruit juice,in fact its best among all! Hope you liked the review and found it useful. *products sent by PR but the review is 100% honest and based on my personal experience. AllassignmentHelp.co.uk Reviews Assignmentservicerating is best reviews site.We at Top Quality Assignment believe that there is no shortcut to success and to attain success, hard work, dedication, and commitment must be present. We are an online platform where students check & write reviews for assignments related websites.